hey andrea...i feel you! 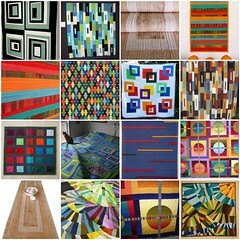 im loving solids...and i really like the shot cottons and moda cross weave...and carolina chambrays!! id be happy for another swap with you if you'd like to swap prints for solids! Ive gotten a larger/nicer selection since our last swap! love your inspirations! I'm still buying prints, but I'm definitely building up my stash of solids. Do you have a good source for Carolina chambrays? I hear you on this one! I do love prints too, but adding more solids to my stash and putting together different color combinations is one of my favorite things!